If you’re a young LGBT+ person in Sheffield, SAYiT is here for you. We spoke to Christie Rossiter, charity manager at the organisation, to get a bit of background behind one of the city longest-running LGBT+ charities and an insight into the vital services they provide. 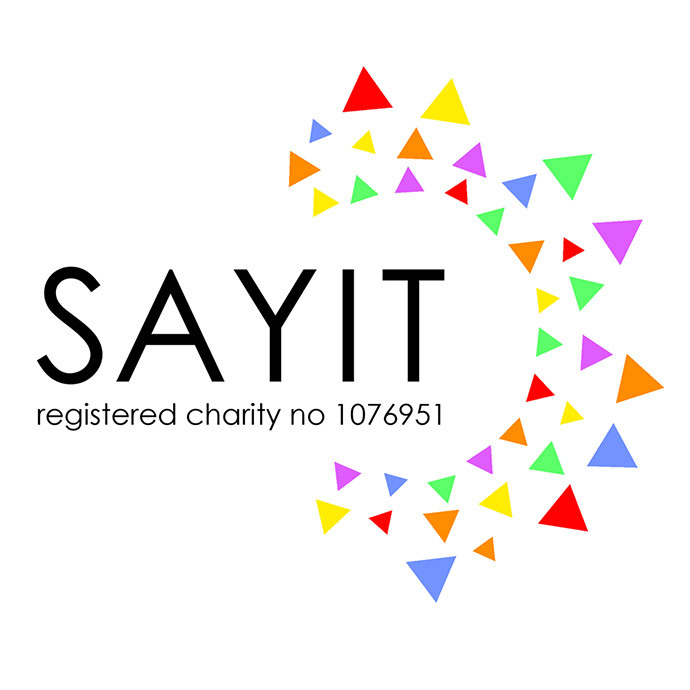 For close to twenty years now, registered charitable incorporated organisation SAYiT has worked closely with young people in the city, offering vital emotional care, life advice, sexual health guidance and HIV support. Based at Scotia Works (next door to The Leadmill), the team at SAYiT have created an accessible city centre space where people up to the age of 25 can be understood and empowered through social activities, education and resource provision from a specialist team of workers and volunteers. To start off, could you tell us a bit about your role at SAYiT and what that involves? I’m the charity manager here at SAYiT. I’ve actually not worked here that long – I started around April-time last year. But in that time we’ve managed to secure funding for some new projects which we’re really excited about. We’ve got a big lottery fund, which is going to help with the provision of a lot of our youth groups and work towards some of our leadership projects with young people. And we secured some more money for Children in Need, so we’re excited about delivering all of those. I’m involved in the day-to-day operations of running the charity, which means I support our youth work team and help with the general running of events. Could you tell us a bit about the story behind the charity? We’re celebrating our 20th anniversary this year, so we’ve been around for quite a while. The charity was originally known as the Sheena Amos Youth Trust, named after a highly-respected NHS manager who sadly passed away some years before the charity was set up. She was known as a forward-thinking sexual health and contraception doctor working in Sheffield, so the charity founders wanted to continue that work with young people in the city and to help them with their sexual health and negotiating safer sexual relationships, also helping young people affected by HIV – this being either directly or through a family experience. As the charity has grown over the years, it was observed that young LGBT+ people were disproportionately impacted upon by poorer sexual health, experiences of mental ill health and emotional difficulties. Because these people were so marginalised by society, the focus of the work funnelled into directly supporting LGBT+ young people. We also extend our influence outwards, offering training, educational workshops, support groups and consultancy and regularly work with parents, carers, schools, universities and other organisations to improve the environment and culture in which young LBGT+ people experience their lives. It’s not only educational, but also offers a place for people to come and talk without fear of judgement. What kind of challenges or issues do young LGBT+ people tend to come up against? We directly structure our services around the needs of young people, and the groups that we operate are designed to provide quite a lot of emotional support. If you look at the statistics, people who are LGBT+ are much more likely to self-harm or attempt suicide. And obviously that’s not for being LGBT+, but it’s more because of the discrimination, stigma and inequality that they face in society as a result. We’ve got a lot of skilled workers who work both one-to-one and in group settings to tackle mental health issues and improve wellbeing, to promote coping strategies and self-care. These sessions also provide a safe space for people to feel comfortable and realise their identities, while also having fun at the same time. We get a lot of feedback that when they’re at the group it’s the only time of the week they can really feel themselves; they can spend time with people who are like-minded and maybe going through the same sort of difficulties. We also offer quite a lot of practical support: that can be anything from housing issues to dealing with life experiences or exam stress. We directly structure our services around the needs of young people, and the groups that we operate are designed to provide quite a lot of emotional support. As mentioned, the social aspect is a big part of what SAYiT offers. What have you currently got planned events-wise? In terms of LGBT History Month, we’ve got quite a lot coming up on top of our regular group sessions, such as an LGBT history photography trail around Kelham Island that some of our group helped to produce. We’re also working on a creative project with Museums Sheffield in conjunction with the upcoming Leonardo Da Vinci exhibition, putting on a queer panel event with older LGBT people so they can answer questions from younger people, and an event called Rainbow Laces, which is a 5-a-side tournament in memory of Noah Lomax raising awareness about homophobia, biphobia and transphobia in sport. More details can be found on our website about these events. More generally, we’ll be putting on events to celebrate our 20th anniversary and also to commemorate the 50th anniversary of the Stonewall Riots. 2019 is going to be a busy year, but we’re looking forward to it! If there’s anyone currently reading this who might feel like SAYiT could help them, how do they go about getting involved? In terms of a referral to our services for young people, they can just call or email, we’ll book an initial one-to-one meeting and that’s about it – they’ll start coming along and getting involved. For any other enquiries, people can just give us a call and there’ll be someone available to answer questions. Animat to perform a new soundtrack for 'All Is Lost' at an exclusive screening.